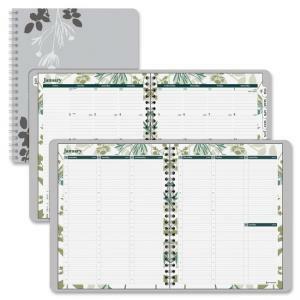 Beautiful botanical accents bring a touch of elegance and style to your weekly/monthly planning. Dated planning pages range 12 months from January to December. Two-page-per-week spreads offer ruled daily columns, hourly appointment times from 7 AM to 8 PM, abbreviated weekend columns, each day's name highlighted with a green bar, count of days/days remaining, and Monday-through-Sunday scheduling. Tabbed, two-page-per-month spreads offer Sunday-through-Saturday scheduling, numbered weeks, count of days/days remaining, holidays, a notes column, and past and future months reference. 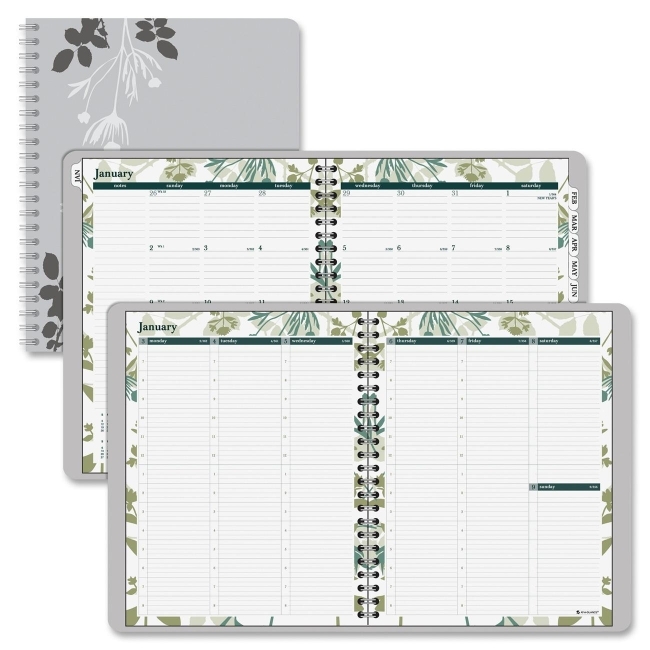 Wirebound planner is made with vegetable-based inks and quality recycled paper.